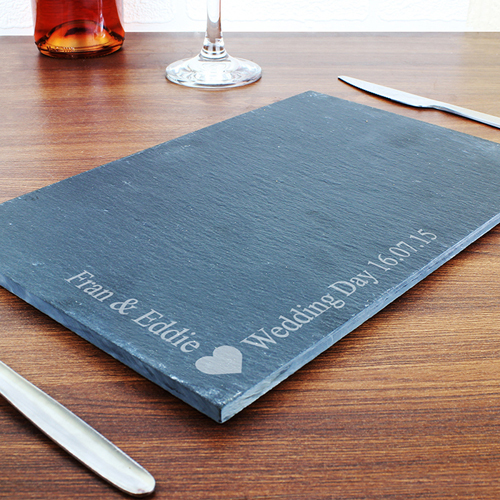 Personalise this Heart Motif Slate Board with two lines of 25 characters, in the corner of the product. This item has a cute heart motif and will be perfect used as a Cheese Board. Personalise with two lines of 25 characters, in the corner of the product.